Me and my little girl adore this product, she looks adorable sitting in it and enjoys the colours and design. It’s very easy to use and is a great value for money. Hood proves shade and helps her sleep during car journeys. 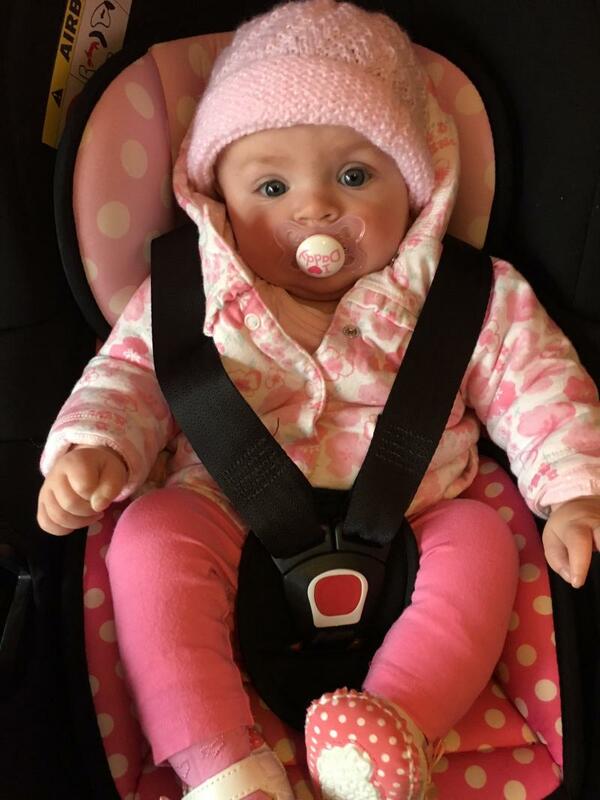 My niece has this car seat and it is so lovely! The design is super cute and mini mouse is very well known. It is perfect for a little girl! It’s a very light car seat to carry which is amazing because babies get heavier!! It’s easy to fit in the car, it’s light to carry and super easy to strap your child in! I have use it and I'm really happy of the materials and how easy I can us it. Everyone needs to have this product......... I recommend it to everyone. This product is very good, easy to use, baby is comfortable. And great value for money. And I love the Minnie mouse design. Was very good when the babys was newborn because they was smaller, and the cushion helped. I absolutely loved my minnie mouse car seat! I love how girly it looks and it’s so padded that I know my baby would of been very comfortable in it. It’s not too heavy and you can remove the padding so that it can be washed. I highly recommend this car seat! My daughter has been using it since she was about 8 weeks old. She looks very comfortable in it and it is very easy to secure in the car. Great value for money. I love love love this. My daughter is so comfortable in this she is asleep as soon as she gets in it. i love the inserts for the sleep to make her sit in the right position. its brilliant quality! Its easy to put in & take out the car! but when its in the car its solid and you know its safe! i never had a crash but am sure this would keep my daughter safe. This is a lovely car seat, I bought it for my youngest (she still uses it) it's lovely and light and easy to install. I don't like how the hood clips onto the handle though as it can easily be knocked off. But aside from that I'd recommend this car seat. Product is very cosy for my little one she loves being in it! 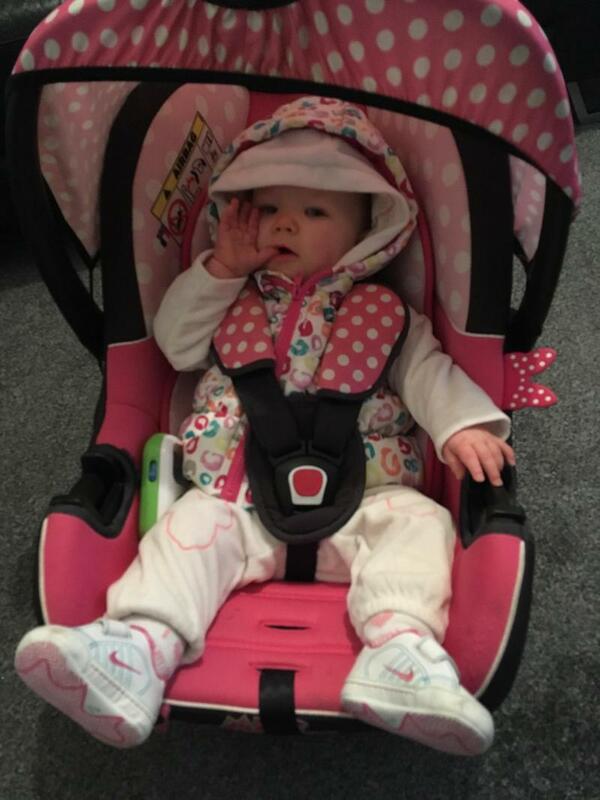 Great car seat beautiful for your little girl, very secure and comfortable for baby would highly recommend this product! 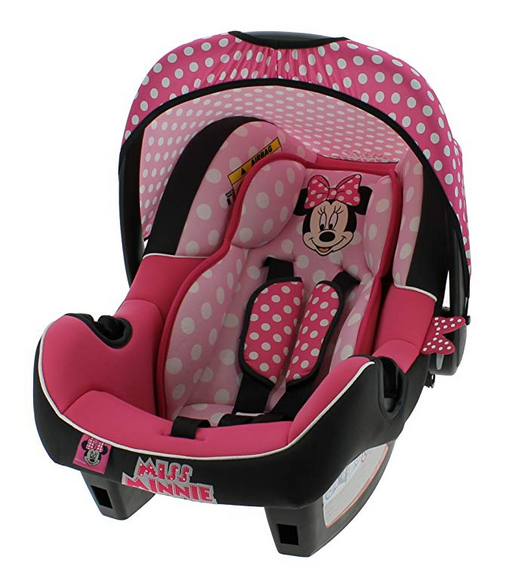 This car seat is a must for Disney lovers like me! It’s so comfortable I know if my daughter can’t sleep in the night I can just take her for a quick drive to send her off. It has a newborn insert I’ve had to remove at 4 months old which is really good considering she’s filling out 6-9 clothes due to being very tall. 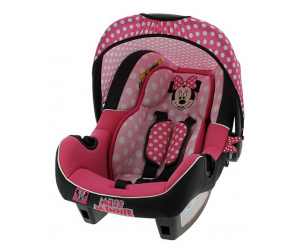 Suitable from birth to 13kg, the Disney Baby Minnie Mouse Beone SP Group 0+ Car Seat weighs only 2.97kg and is easily portable thanks to its integrated ergonomic handle. It features side impact protection and comes with a removable newborn body support cushion and chest and buckle pads for comfort and safety.